This grandiose Colonial-style mansion in La Zagaleta Country Club in Marbella, occupies a private west-facing plot with sensational panoramic views of the mountains and the surrounding countryside. The sheer size and elegance of the property impresses us immediately and it is the ideal property for large families and entertaining. There are 10 bedrooms in total, including a 2-bedroom staff apartment and a 2-bedroom guest apartment, both with separate entrances. The main house offers endless rooms and spaces for relaxation, entertainment, dining and generally spending time with the family. Some of the many stand out features of this property include the industrial kitchen, the spa with a heated indoor pool, the lift and the sound system. 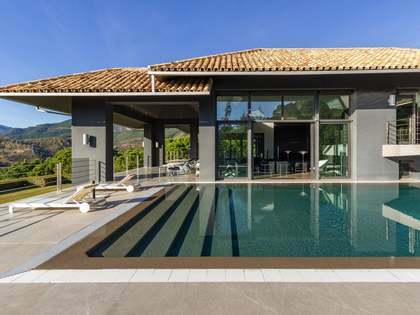 The outdoor pool is heated by solar panels and the property boasts a home automation system. A fabulous mansion that is guaranteed to impress. 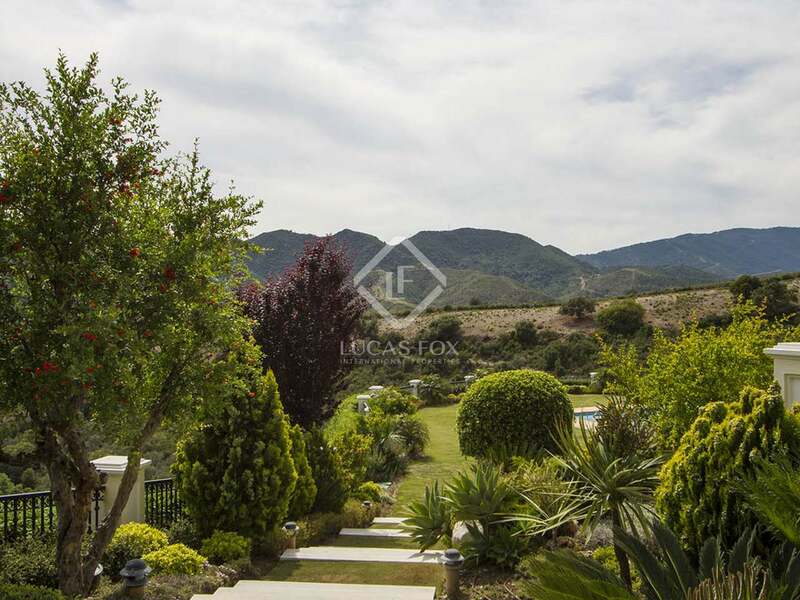 This property is found within the La Zagaleta gated community, in one of the most beautiful areas of the Costa del Sol and just 60 km from Malaga Airport. The town of Marbella is just a few kilometres away. La Zagaleta has two 18-hole private golf courses and a wide range of sporting facilities from horse riding to tennis. Surrounded by an extensive nature reserve with beautiful views of the Mediterranean Sea, La Zagaleta is widely recognised as a highly prestigious setting for a luxury home.